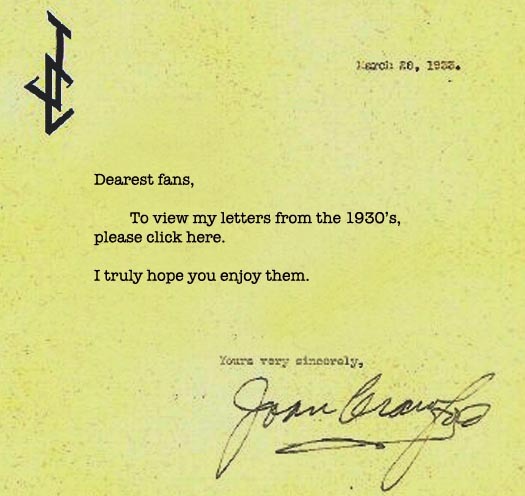 Joan Crawford's letters to her fans are a true testament of her character and show just how she treated her fans. Her life long dedication to corresponding with the people responsible for making her famous showed how much of a caring and loving person she really was. 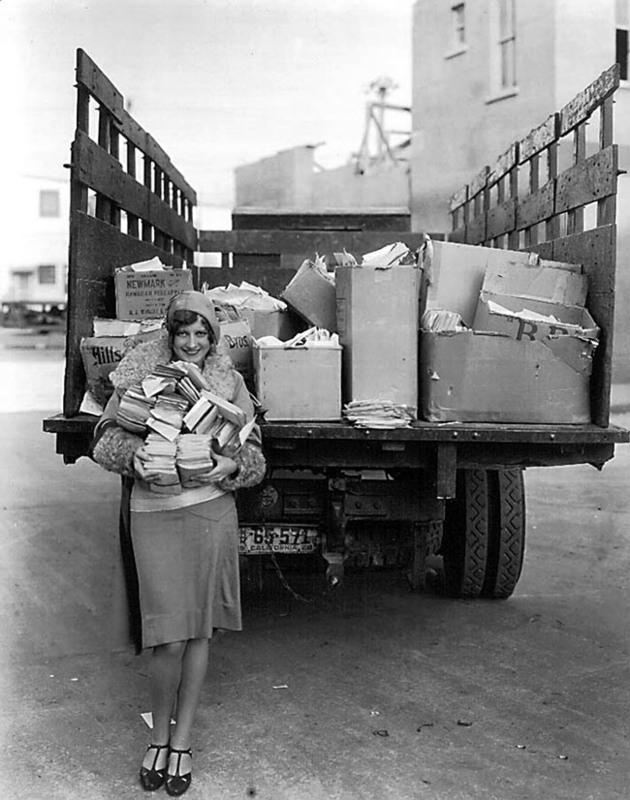 It is estimated that Joan Crawford wrote and sent out over three million fan letters in her lifetime. She answered every single piece of fan mail herself. 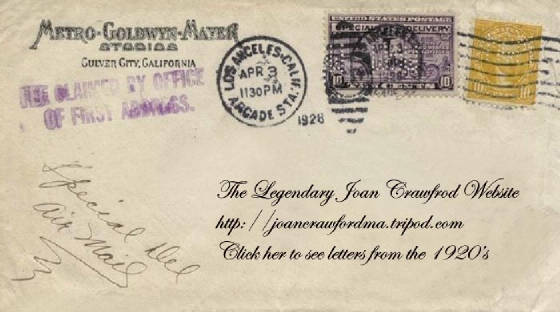 The following collections of letters are in chronological order, showing another facet of Joan Crawford, the person. Her thoughts, her words, her letters - The last word. Joan Crawford's devotion to her fans was unlike any others. There isn't a celebrity then or now who was more devoted to her fans as was Joan Crawford. Below are creatively designed envelopes from each year of her letter writing. 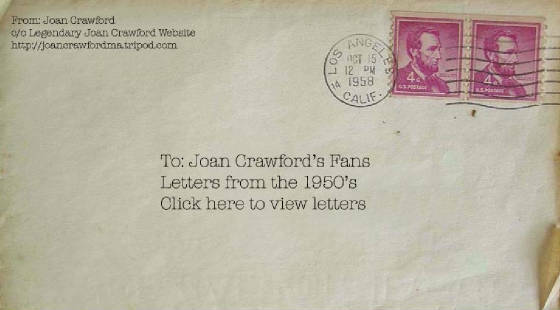 Click on the envelopes to go to that particular year to view letters from Joan Crawford to her fans and friends. These letters are a great way to tap into the "mood" and "mindset" Joan was feeling during different periods in her life. Enjoy! Click on the envelope above to view letters from the 1920's. Click on the stationary above to view letters from the 1930's. Click on the envelope above to view letters from the 1950's. 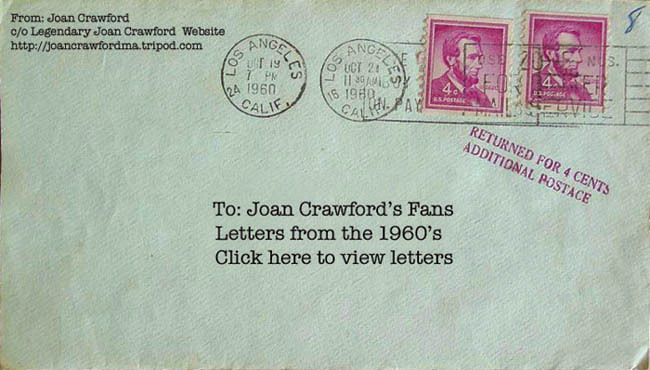 Click on the envelope above to view letters from the 1960's.